I have to admit, I’m a sucker for cheesecake. It’s hard to resist the tangy, creamy dessert, and yet I seldom indulge myself in some because of its richness. Which is why I love making mini-sized portions. Smaller servings, and less cream cheese being used makes for a slightly less guilty treat! While it’s clearly not strawberry season, I wanted something fresh and summery, so I used frozen strawberries instead. 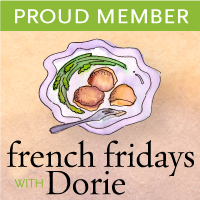 Feel free to make use of fresh local strawberries at the height of strawberry season in early summer, or your sauce of choice—chocolate, caramel, or some other fruit-based sauce. In a small bowl, combine graham cracker crumbs and butter. Press into the bottom of 12 lined muffin cups and freeze. Meanwhile, in a medium mixing bowl, beat cream cheese and sugar on medium-high speed for 3 minutes. Add eggs, one a time, beating after each addition. Mix in lemon juice and vanilla. Remove muffin tins from the freezer and fill each cup. Bake for 20 to 25 minutes or until they look puffy and the centres have a slight jiggle. Cool in the pan on a rack for 15 minutes before removing from the tin to cool complete. 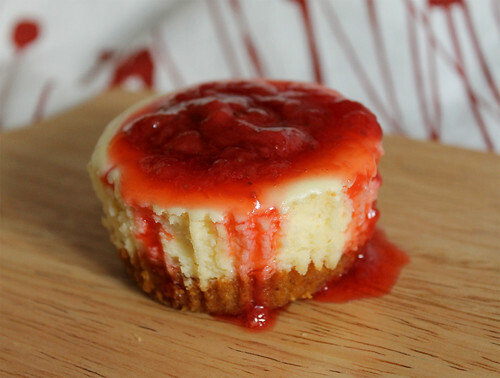 Once cheesecakes are cool, they can be topped with strawberry sauce, or refrigerated and served with the sauce later. For the strawberry sauce: Combine all the ingredients in a small saucepan and bring to a boil over medium-high heat. Reduce to the heat to medium-low and simmer for about five minutes, or until the juices have released from the strawberries. Using a potato masher to mash up the strawberries and allow the sauce to simmer for a few minutes longer, until the sauce has thickened and starts to coat the back of a spoon. 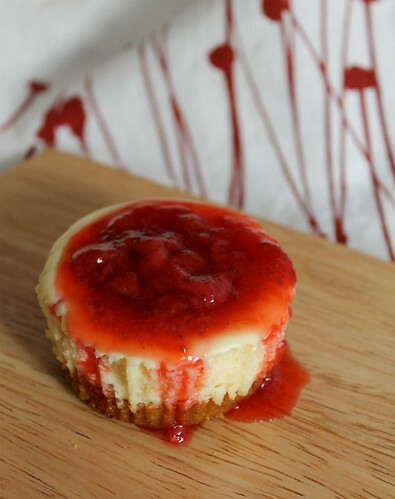 Allow for the strawberry sauce to cool completely before topping cheesecakes, or refrigerate until ready to use. The strawberry sauce can be prepared a day ahead. Meaghan May 9, 2012 at 4:55 p.m.
Hi! I like the looks of this recipe but I'm missing where it says what temp to have the oven at when you bake it all. Thanks! Bonita May 13, 2012 at 11:19 a.m.
Oops, sorry about that Meaghan! I've revised the recipe. You should preheat your oven to 300˚F. Happy baking!